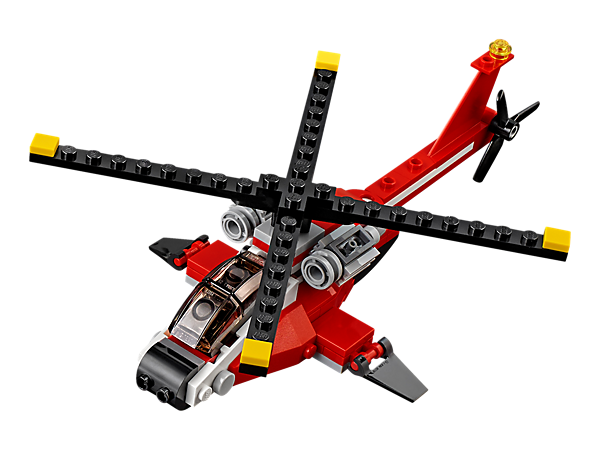 Complete secret missions with the agile, high-speed Air Blazer helicopter, featuring spinning main rotor and tail rotor, tinted cockpit, large engines, rear landing light and a red and black color scheme. 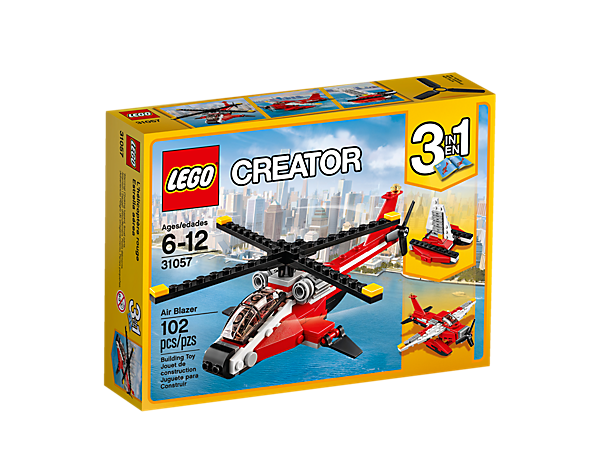 This 3-in-1 LEGO® Creator model rebuilds into a Seaplane or a Catamaran. 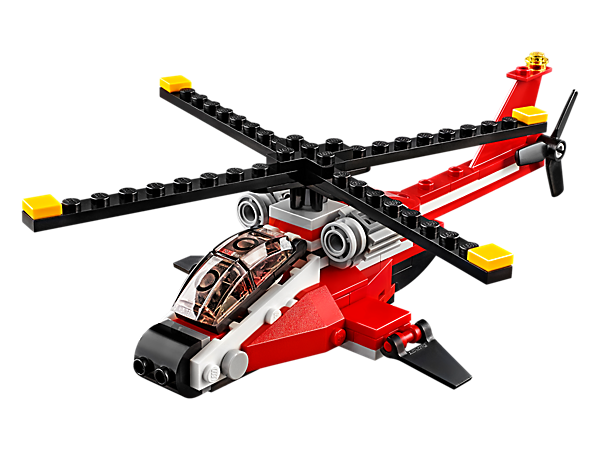 Features a high-tech, agile design with large spinning main rotor, spinning tail rotor, tinted cockpit, large engines and a rear landing light. Check out the cool red and black color scheme. Spin the huge main rotor and tail rotor and take to the sky. 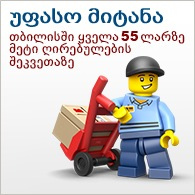 This set includes over 100 pieces and offers an age-appropriate build and play experience for ages 6-12. 3-in-1 model: rebuilds into a Seaplane or a Catamaran. AirBlazer measures over 1” (5cm) high, 8” (21cm) long and 6” (16cm) wide. Seaplane measures over 1” (6cm) high, 5” (14cm) long and 5” (14cm) wide. Catamaran measures over 3” (8cm) high, 3” (8cm) long and 2” (7cm) wide.